It was a morning for looking to the future either side of breakfast. It started with some schooling over jumps. Then after bacon, sausage, tomatoes, scrambled eggs, hash browns, toast, flapjacks and cherry cake it was down to the track for second lot. 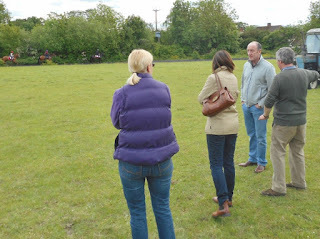 Some new owners were visiting for the first time and enjoying the pleasant weather. One of the horses cantering was a possible new runner for Valence Racing. Time will tell. So definitely a morning for looking to the future. 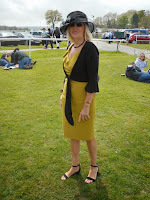 Plumpton staged its Ladies Day today and had a good turn out. 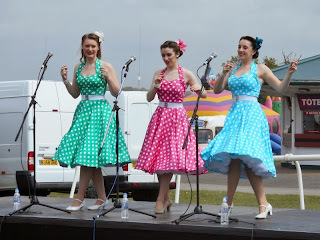 Those of us who arrived an hour before racing were entertained by The Polka Dots singing in the 40s style of the Andrews Sisters. The owners were equally well turned out. Then I'm Lucy won Frankie £25 for being the "Best Turned Out". 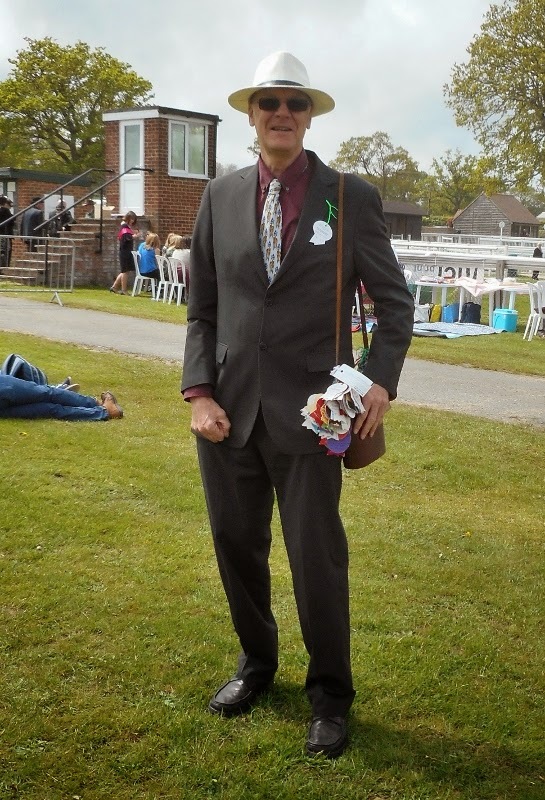 In the same race Maccabees won £369 for his owners when finishing 3rd. 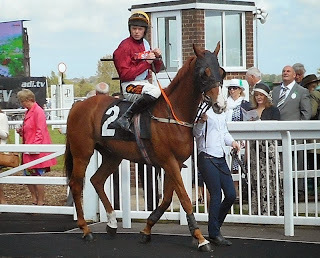 He was held up in the rear by his jockey, Tom Cheesman, in the early stages and was only moved into the sharp end of the race on the final circuit. He battled well over the final two hurdles to take the third spot and rewarded place punters on the tote with a return of over 6/1! Then it was Red Anchor's turn. 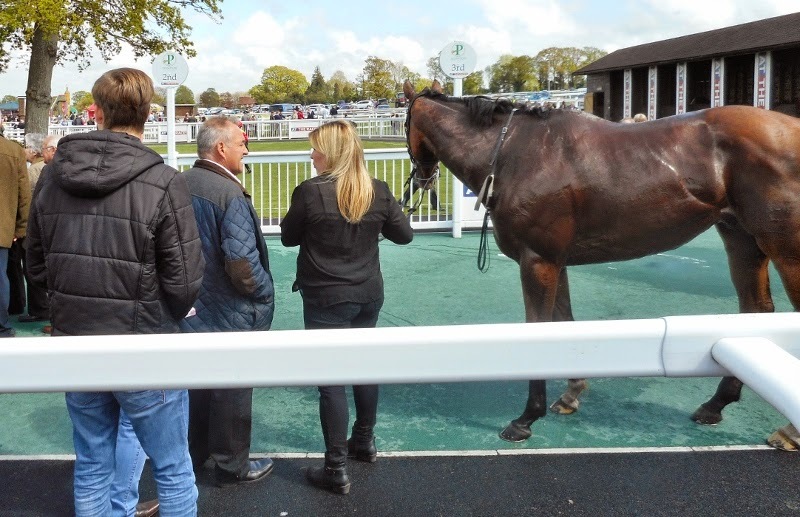 He jumped well and ran prominently, but the faster ground allowed his rivals to show a turn of foot at the finish, but he still picked up £250 prize money for his 6th place under the extended prize money scheme. 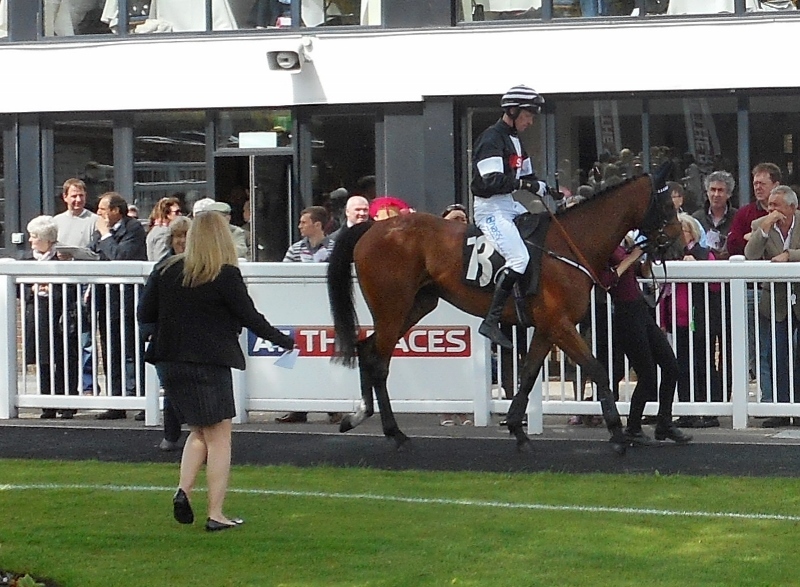 Red Anchor ran another pleasing race at Fontwell this evening. 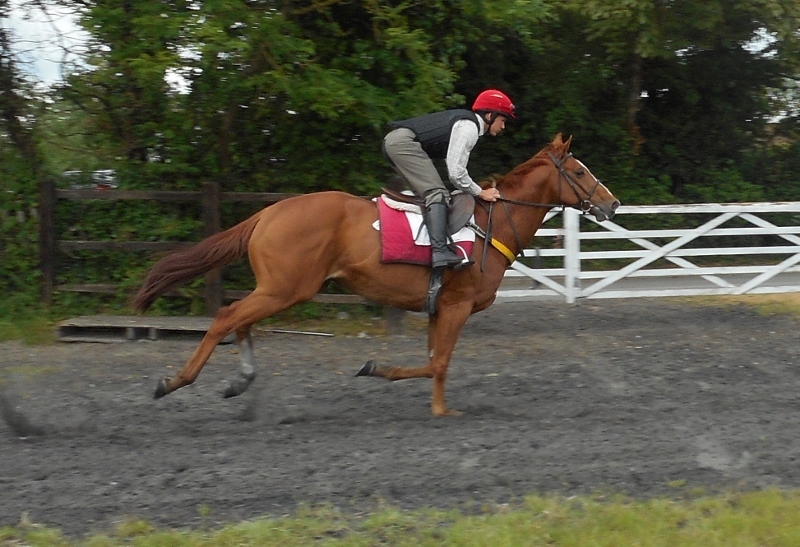 With the ground drying out it may well have been his last race before a summer break. 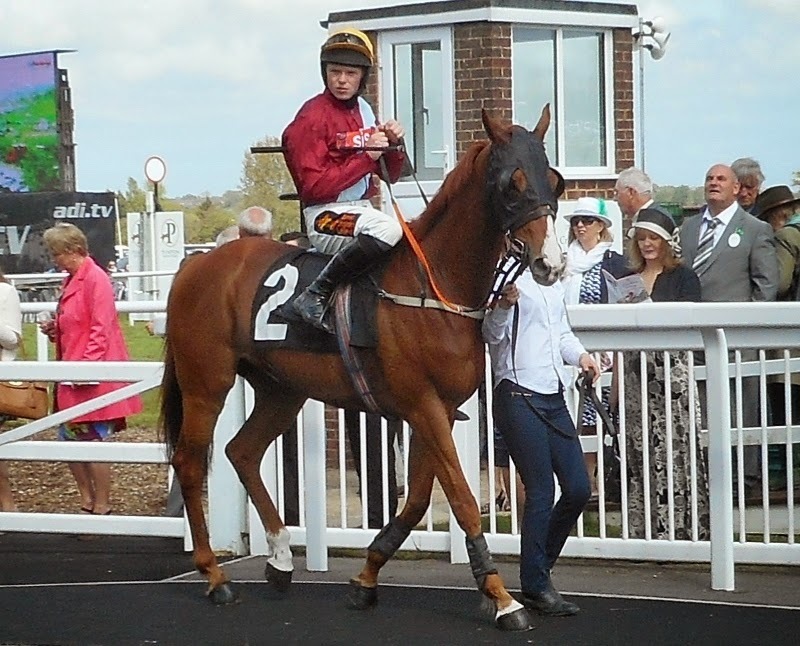 Ridden by Thomas Garner he started near the rear of the field but was moved up after four fences to a mid division position. He was in the leading pair on the second circuit and led going out for the final time. 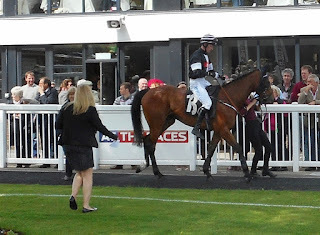 He went a couple of lengths clear going down the hill, but his forte is galloping not a sprint finish, and on the quicker ground he was not able to hold off all the challengers though he stayed on to the line. He eventually finished a creditable third which pleased his connections greatly.